These simple gluten free vanilla cupcakes are super moist thanks to the addition of sour cream. They’re light, airy, and ready for any frosting you want to add! Hey guys, today is a great day! Why? Because we’ve got cupcakes! These aren’t just any cupcakes though, they’re super moist gluten free vanilla cupcakes. And there isn’t a dry crumb in site! What The Fork Food Blog recently turned 3 and I thought cupcakes would be the perfect way to celebrate. We’ve come a long way since our first post, Homemade Honey Butter. You guys, those photos are awful ???? But the honey butter, SO GOOD. Also good? These gluten free vanilla cupcakes ???? Lately, I’ve been doing some experimenting with sour cream in baked goods. I used to use it more before we found out Kelsey was lactose intolerant but I’ve kind of missed using it in baked goods. It really adds something special. And by special, I mean it makes baked goods SO super moist. Usually recipes call for about 1/2 – 1 cup of sour cream in a recipe. I hate having a small amount left in the container because we don’t eat sour cream as a condiment on things like baked potatoes or nachos. So, I decided to throw the whole 16 oz. container of sour cream into the batter and see how it would go. YOU GUYS. It was AMAZING. As you can see, this recipe doesn’t call for any extra liquid other than the eggs or the oil. The sour cream replaces the milk and then some! You really need to try these, you will be in love as much as I am! I even almost contemplated naming these sour cream cupcakes instead of vanilla cupcakes. But big question, what if you really can’t have dairy? No worries. You can replace the sour cream with non-dairy yogurt mixed with some white vinegar. You could even use dairy free sour cream if you can find it. 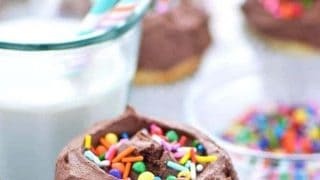 Top them with your favorite frosting – I used my vegan chocolate frosting but you could easily replace the vegan butter and shortening with plain old butter and use heavy cream or milk instead of the coconut milk. 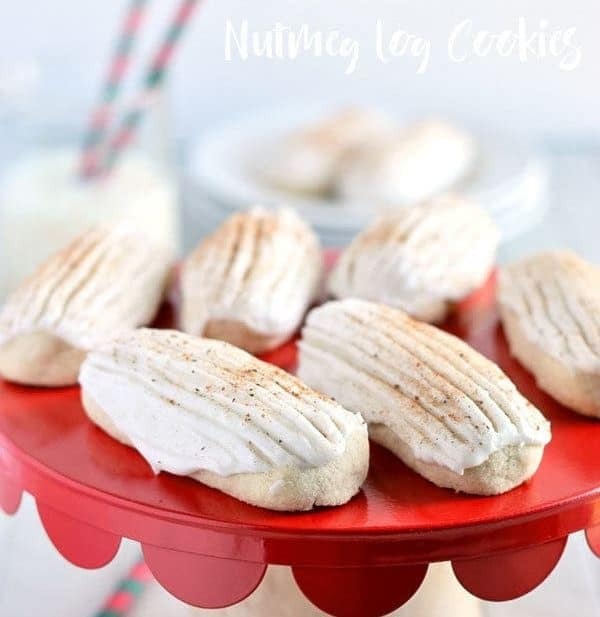 These would also be wonderful with cream cheese frosting . Or if you have room in the fridge before your party to house 2 dozen cupcakes, white chocolate ganache whipped cream would taste like heaven. Enjoy! Preheat oven to 350 degrees and line 2 12-cup muffin tins with paper liners or spray with non-stick spray. In a large bowl, whisk together the flour, xanthan gum, sugar, baking powder, baking soda, and salt. Set aside. In a separate medium bowl, whisk together the eggs, oil, and vanilla. Whisk in the sour cream until combined. Pour the wet ingredients into the dry ingredients and stir until the dry ingredients are completely incorporated. Divide the batter evenly between the 24 cups, filling each no more than 2/3 of the way full. Bake at 350 degrees for 18-22 minutes or until a tester comes out clean or the cupcakes springs back when lightly touched in the center. Cool cupcakes completely on a cooling rack before frosting. *For dairy free, use 1 3/4 cups plain or vanilla dairy-free yogurt plus 1 1/2 tablespoons white vinegar. 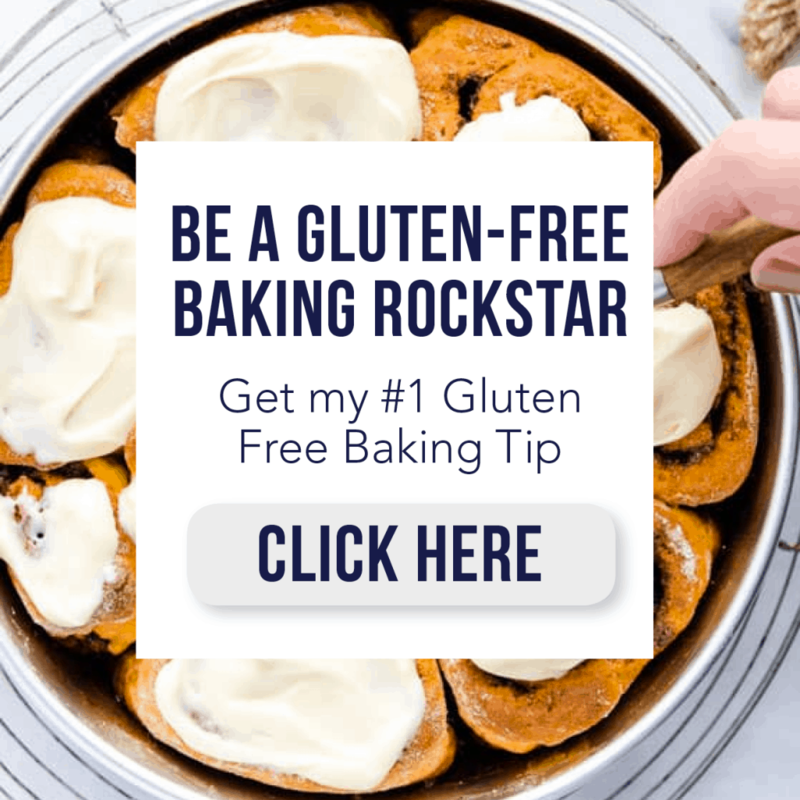 I use my nightshade free all purpose flour in these cupcakes. You can also use Bob's Red Mill 1:1 gluten free baking flour and omit the xanthan gum. I frosted mine with my vegan chocolate frosting. You can use 1 cup of butter in place of the vegan butter and shortening and heavy cream in place of the coconut milk. If you want vanilla bean flecks in your cupcakes, use 1 1/2 teaspoons vanilla extract + 1 1/2 teaspoons vanilla bean paste. A moist fluffy cupcake is essential! These are so fun! I love that your flour blend is nightshade free! That is so helpful for those of us who can’t do potato. 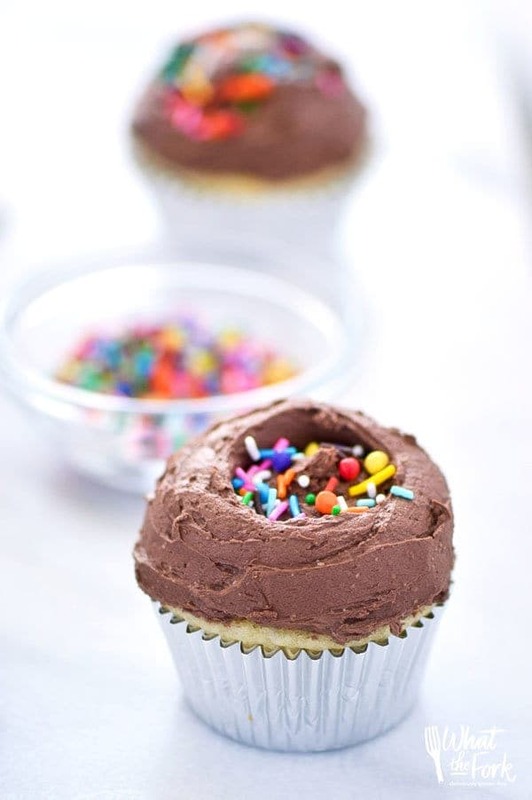 LOVE all of that beautiful chocolate frosting on the top too, so yummy! Happy blog birthday to What the Fork! And what a way to celebrate. 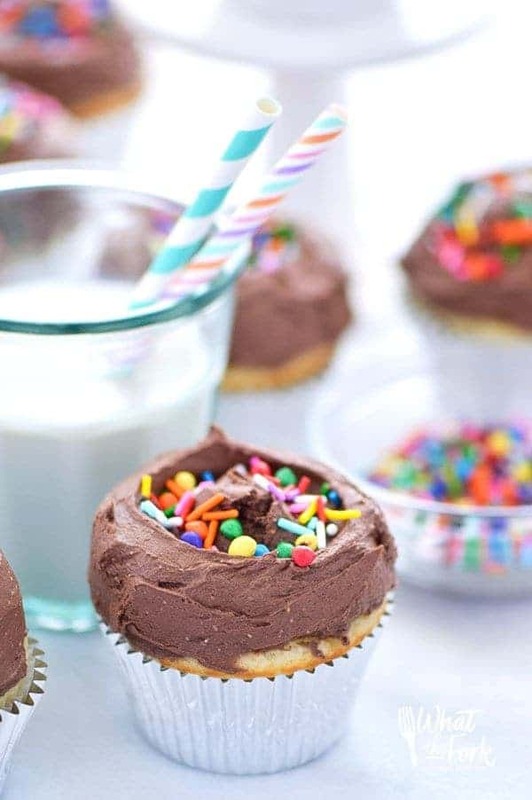 These cupcakes look INSANELY delicious! These do look super moist! I love baking with sour cream – it keeps them moist longer, too! YUM! These cupcakes do indeed look super moist, which of course means they’re fabulous. Happy bday blog to you! Sour cream is one of my favorite ingredients. These looks perfect! And I love the sprinkles on top. Wow, those totally look so moist!! Nothing worse than a dry cupcake… and I love your use of the sour cream! Congrats on your blogiversary! These are the cutest cupcakes, and what a delicious way to celebrate! These cupcakes are SO adorable!! My kids are would love them!! I’m sure the addition of the sour cream keeps these cupcakes extra moist and flavorful. They’re super fun looking with all those sprinkles! Can I just say, I LOVE that you used the Magnolia swirl in your frosting. They have the most beautiful cupcakes and you’ve really perfected it! haha thanks!! I really struggle with piping (aka I’m usually being too lazy to use all that extra stuff ????). I love that I can just do the swirl with my little offset spatula and be done with it. PLUS it creates a great little well to hold all those SPRINKLES ???? 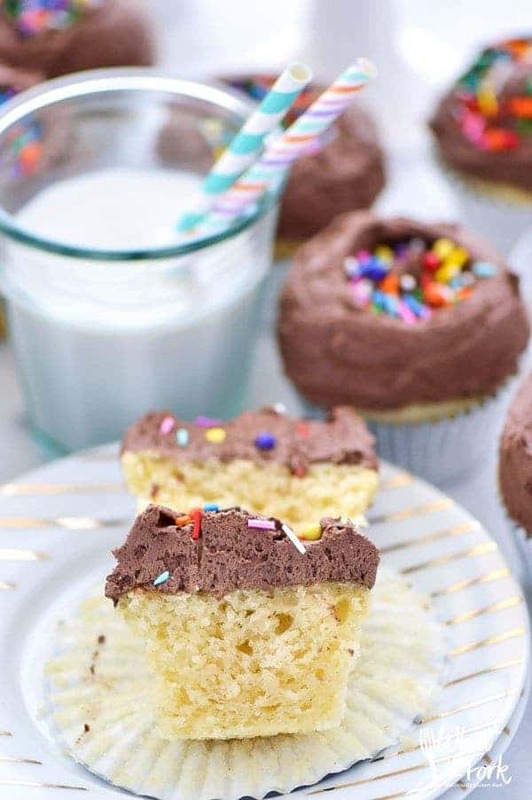 Vanilla cupcakes are my favorite and these look so light and fluffy! Sour cream makes SUCH a diff in baked goods. I love how you frosted these! These cupcakes are making me crave cupcakes so badly! Congratulations on 3 years! 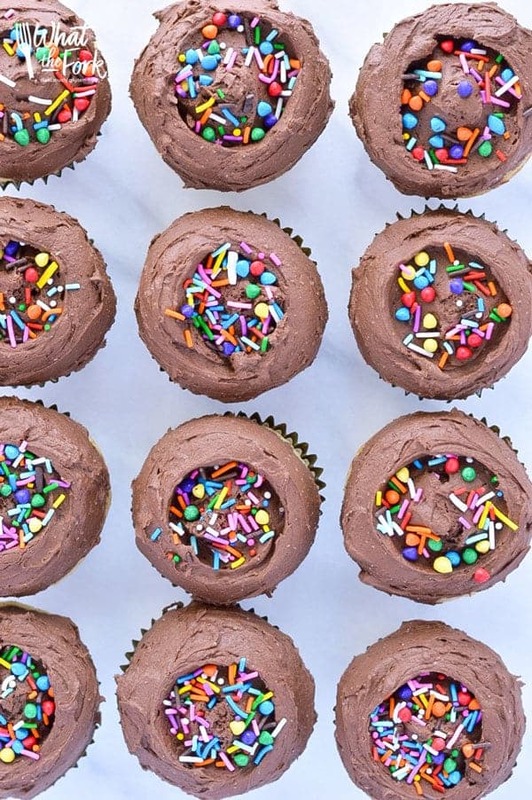 These cupcakes look like the ultimate birthday party treat. These look absolutely delicious! I love the frosting/sprinkle decor. Super cute! Yum! 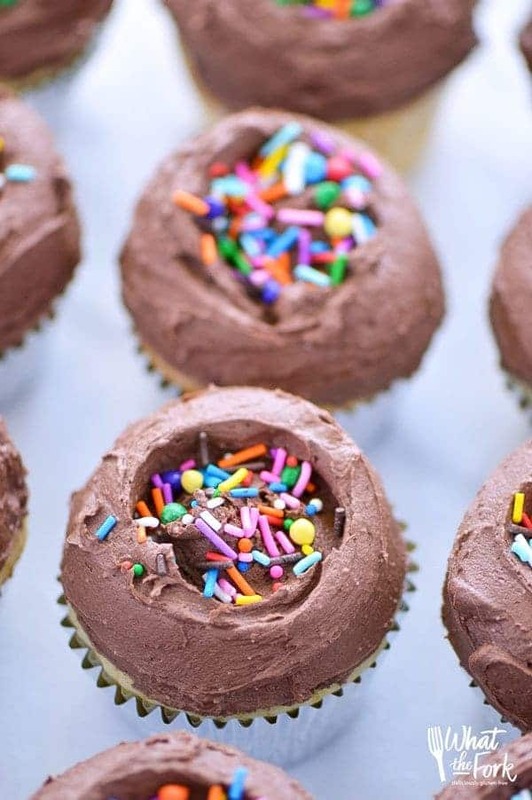 When I was pregnant I craved cupcakes and it was so hard to find an easy gf recipe. These look amazing! Wow!!! Those cupcakes look so good in those beautiful pictures!!! Have to try making it for my daughter’s coming birthday party. Can I make this into a cake instead of cupcakes? And how big of a pan would you think? Thanks! 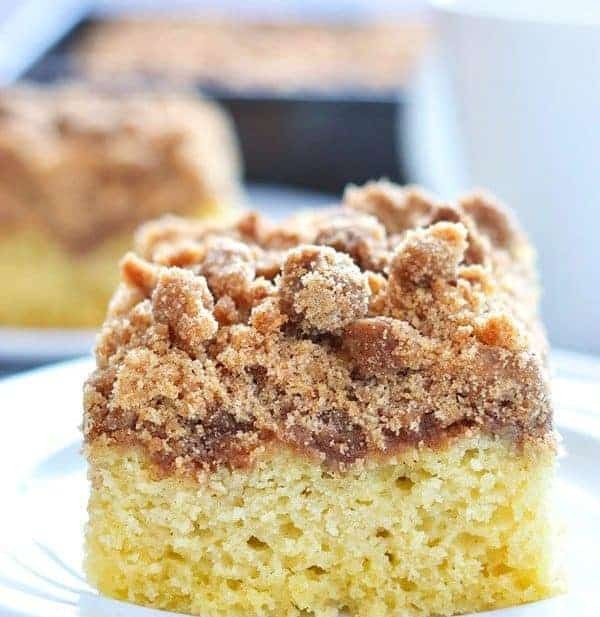 I haven’t tried this in a cake version yet but I would probably divide the batter between 2 9-inch pans or maybe 3 8-inch pans for thinner layers. 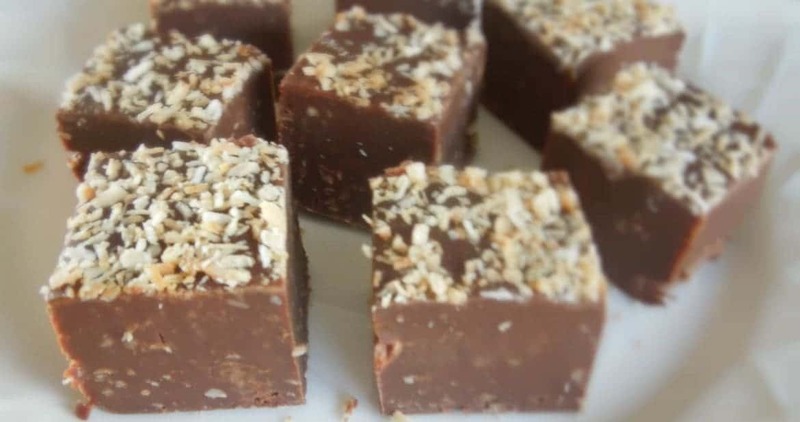 Have you made a chocolate version of this recipe. Loved these! My batter was not smooth, but sticky like a biscuit mix; did I miss something in the recipe? Mine had a slight after taste, also; perhaps from the avocado oil? What flour blend did you use? Did you make any dairy free subs?